The Sambadrome hosts the annual parade of Samba Schools in Rio de Janeiro, Brazil during the world-famous festival of Rio Carnival. The Samba Parades take place in the Sambadrome Marquês de Sapucaí (or Sambódromo da Marquês de Sapucaí in Portuguese) each night of the Rio Carnival. The Sambadrome Parades are the backbone of Rio Carnival, as 30,000 annual participants and 90,000 nightly ticketed spectators take part in what is known around the world as the Greatest Party on the Planet! The Sambadrome Parades (or desfiles no Sambódromo in Portuguese), are dazzling spectacles of gorgeous handmade costumes, lavishly decorated floats that are as tall as the Grandstands, meticulously choreographed dances, pulsating percussions, rhythm, beats and of course, the music and steps of the samba. 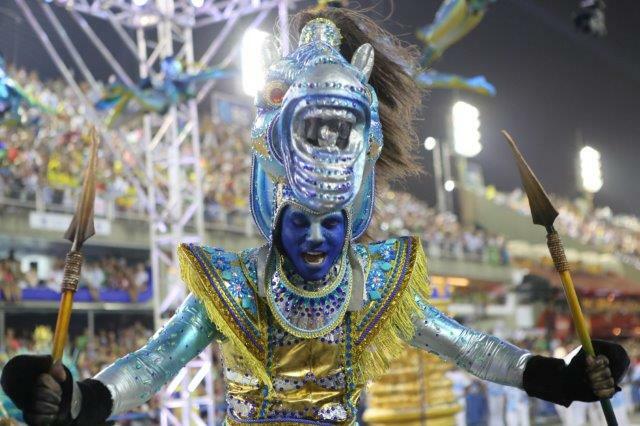 It is also important to remember that the Sambadrome parades are important events in the Carioca calendar and are more than just fun and games, they are ferociously competitive judged events. The most prestigious of Rio de Janeiro’s Samba Schools square off as each school gets its turn to parade down the 700 metre (roughly half mile) stretch of the samba runway, with judges seated in specific locations spread along the parade route analyzing the songs, checking for enthusiasm and audience engagement, watching every dance move and every sequin on every costume. 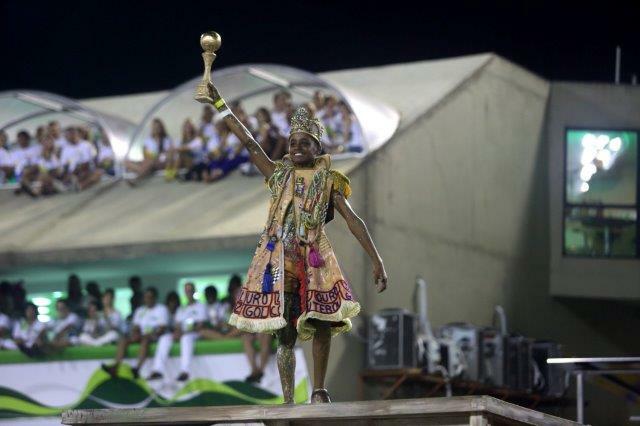 At the end of Rio Carnival, a winner is announced and every samba school is ranked according to who receives the highest scores from the judges. Government funding and corporate sponsors are involved, so the Sambadrome means big business! The Rio de Janeiro Sambadrome, called Sambódromo da Marquês de Sapucaí in Portuguese, is home to three different categories of Sambadrome Parades during Carnival. The first is the Children’s Parade, in which the youth of Rio de Janeiro, the soon-to-be leaders of the elite Samba Schools, put on impressive performances of samba, dance and costume. The next two types of Sambadrome Parade held in the Sambódromo are those of the most elite Samba Schools in Rio: the Access Group and the Special Group. 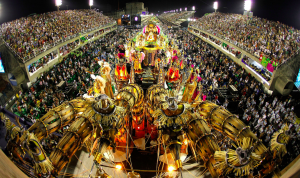 The winning Samba School of the two parades of the Access Days will be promoted to the Special Group for the following year’s Rio Carnival Sambadrome Parades. Similarly, the last place-finishing Samba School of the Special Group parades will be demoted to the Access Group for the next year’s Rio Carnival. 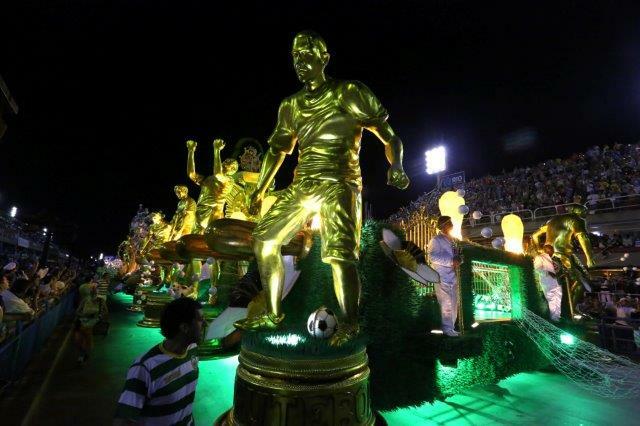 The first Samba School begins its procession at 9PM. Each school has approximately 85 minutes to complete the entire procession (points are deducted from a Samba School’s overall score if the procession runs shorter or goes longer than the allotted time). Therefore, the Sambadrome Parades turn into a highly anticipated marathon of parades, each one trying to outdo the other. It’s not uncommon for the Sambadrome parades to last until 6AM the following morning. The Access Group and Special Group will each parade on two nights. For Rio Carnival 2019, the Access Group Samba Schools will parade on Friday, March 1st, 2019 and Saturday, March 02nd, 2019. The Special Group Samba Schools will parade on Sunday, March 03rd, 2019 and Monday, March 04th, 2019. The top schools of the Special Group will be invited back on Saturday, March 09th for one final procession in the Champion’s Parade. During Rio Carnival there will be marked sections with signs reading “Julgadores” denoting the location of the judges booths lining the Sambadrome. This is so that the judges are spread out so that the entire evolution of the samba school’s theme is taken into account. From the moment each Samba School begins its performance they are being watched. A panel of 40 judges scrupulously rate the performance and submit their scores to be tallied and a winner is crowned. A year’s worth of hard work, dedication and practice are necessary as each member of each Samba School has an important role to play. The flawless execution of practiced performances, plus the energy and spirit exhibited during the parade and the ability of Samba School members to excite the crowd all combine to receive high marks from the judges. The way the scoring goes is simple. Each judge is assigned one of 10 categories to focus on. Therefore, there are four judges for each category. They will allocate scores (with fractions possible) ranging from 5-10 for each category and each Samba School. In the end, the total scores for each category are added up to determine a final score. Oftentimes the difference between winning and losing comes down to a few tenths of a point out of 300 maximum points! This goes to show how important each individual is to the success of a Samba School. 1. Enredo. This category represents the school’s chosen plot or theme. Beginning right after Rio Carnival, each Samba School votes on a theme for the upcoming Samba Parade. Schools must then explore that theme and utilize it to portray all elements Samba parade performance. Themes are a held secret to the public until around December. This is when the schools begin to rehearse at large for the final presentation, teaching the dance moves and steps to the dancers. For optimal allocation of points, the enredo must be clearly demonstrated and easy to understand. 2. Samba-Enredo. This stands for a samba story. The samba-enredo tells a story using the media of song and dance and evokes the spirit of Rio Carnival through the traditions of the samba. Similar to the theme, or enredo, the plot of the samba-enredo is not revealed until December. Judges look at the overarching presentation with respect to plot and theme to rate the samba-enredo. For maximum point allocation, a samba-enredo must be clear in the way the story is told as the parade progresses, from beginning to conclusion. This is where samba schools are known to get political and many choose to explore the most pressing social and economic issues of the day. 3. Bateria. These are the drums. Each school has about 300 percussionists who form the bateria and are responsible for maintaining a constant rhythm. The bateria is the pulse that provides the energy and nourishment that keeps the parade running, the story flowing and the dancers dancing. 4. Harmonia. This category represents the harmony of the samba school. In the harmonia, points are given based on the overall synergy and level of synchronization between the different elements of the parade. Specifically, harmonia is between the passistas (the thousands of samba dancers for each school); the bateria (or the team made up of hundreds of percussionists); and the chanting of the samba song by each and every member of the school. 5. Evolução. Like a chapter in a book, the procession of samba schools tell a story. Like any good story, there is an evolution that is revealed as the parade goes on. In the category relating to evolução, samba schools are judged by the skill of the school’s dance and it should evolve along with the samba song and the rhythm and beat of the bateria. Evolução is portrayed in the choreography of the samba school members, the raw skill and execution of the dancers and the level of passion, spirit and excitement of each school member. This is when the crowd gets involved in the final score. 6. Alegorias e adereços. These are the decorations and props that you see on the floats and in the costumes. This is when all the hard work that the schools put into manufacturing the massive floats comes into play. Each of the samba schools is permitted to parade more than 8 floats. 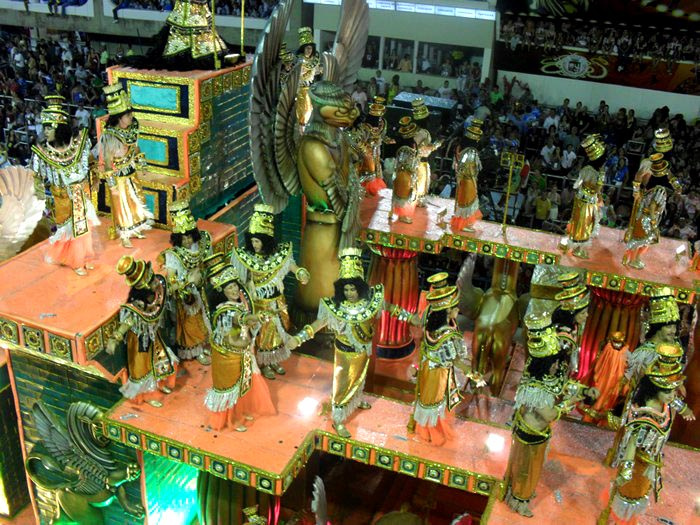 The floats are judged by their creativity, appeal and aesthetics, ornamentation, and overall impressiveness. The floats are often carrying celebrities, sports figures, and national icons who all wear the costume of the samba school and are used to rally the crowds for more points. Alongside the floats march the passistas, which are groups of between 15 and 20 professional samba dancers. Passistas move to the beat of the bateria for the entire length of the samba runway. 7. Porta-bandeira e mestre-sala. This category is the school’s flag bearer and master of ceremonies. The flag bearer is a woman and the master of ceremonies is a man who uses this opportunity to show off his dancing skills. The Porta-bandeira e mestre-sala marche together to a choreographed routine. The Porta-bandeira e mestre-sala are judged by their agility and quality of dance. Traditionally the dance of the Porta-bandeira and the mestre-sala looks like a ballet of sorts. 8. Comissão de frente e alas. This is the front commission and the different wings of the samba schools. The comissão de frente is a group of between ten to fifteen members of the samba school dressed in the most elaborate and ornate costumes of the entire parade. The comissão de frente will come behind the school’s Carnevalesco, or Carnival Director. The Carnival Director is responsible for putting together the entire performance. His job begins with the selection of theme and costumes to the samba song and floats. These are especially important roles because they are the first official members of the samba school to parade, so they set the tone and introduce the chosen theme of that year. 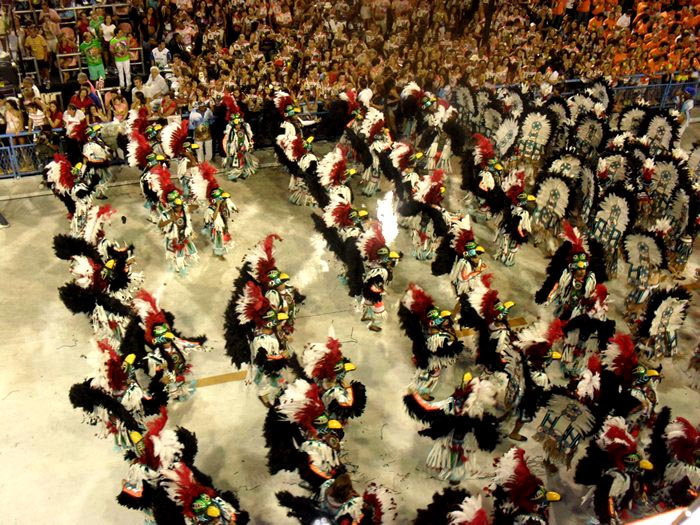 The alas come after the comissão de frente and are individual wings made up of hundreds of samba school members. Each person in a wing will wear the same costumes. 9. Ala das baianas: the wing of bahian ladies. A school’s wing of bahain ladies, or ala das baianas in Portuguese, consists of hundreds of woman, typically elderly, who march either in the middle or at the end of their school’s procession. The members of the school’s ala das baianas dress in bulgy round skirts to honor the nation’s Bhaian slaves of the past, who are credited for many of today’s Rio Carnival traditions. 10. Fantasias. These are the ornately decorated costumes, including the one you will wear if you march in the parade. The judges look for the creativity, ingenuity and unique quality of the costumes. 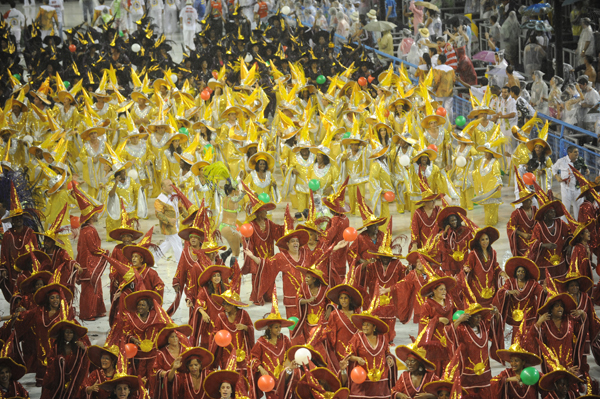 Typically, the color scheme of the costumes will be aligned with the samba school’s official colors. Check this video and get to know everything about the principal samba parade type. After watching this you’ll be able to choose which day you prefer to attend! The Special Group is the premiere league of Samba Schools. These are the most famous and loved Samba Schools, some of which have climbed their way to the top of the rankings and others of which have outperformed the other schools year after year since the early years of Rio Carnival samba parades — schools like Mangueira, Unidos da Tijuca and Portela. The 12 Samba Schools that make up the Special Group are the best funded by their sponsors, communities and the government. The Special Group samba schools parade on one of two nights. Both nights promise to exhibit some of the world’s greatest performances and the top 6 schools will come back to the Sambadrome for the champion’s parade to give one final performance. 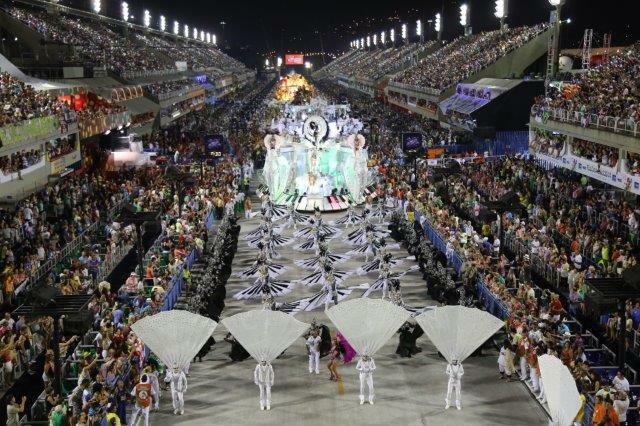 Access nights are among the first major events of Rio Carnival as everybody is anxious for the samba to begin. 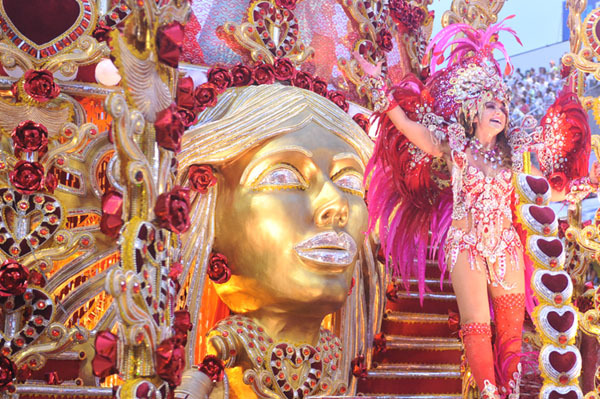 For those experiencing Rio Carnival on a budget, the Access Group Sambadrome Parades are less expensive than the Special Group Parades, making them a great value for your money. While the Access Groups don’t have quite the budget of the Special Schools, the costumes and floats are glorious, the drumming and dancing are magnificent and the performances of the highest caliber. 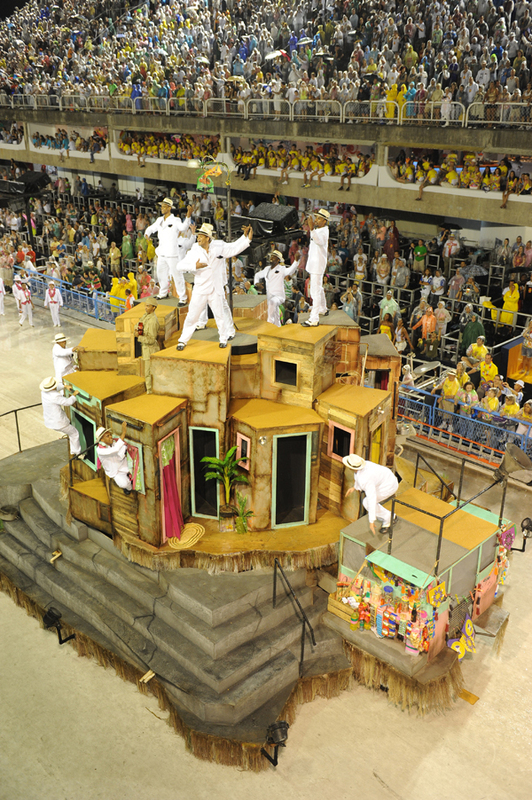 There are over 200 Samba Schools in Rio de Janeiro and the Access Schools are among the best. Once the scores have been tallied and the champion announced, the top 6 ranking Samba Schools of the Special Group are invited back the following Saturday for one more parade. 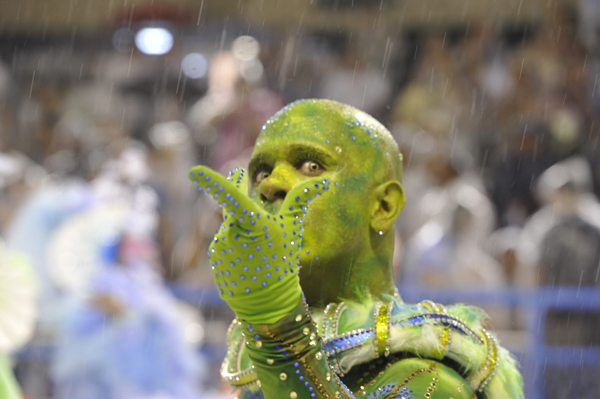 This parade is a favorite among cariocas, including the most avid Samba School fans. Vindication and excitement are in the air at this final night of parading in through Sambodromo. Fans and samba school members have the opportunity to basque in the glory and celebrate the fruits of a year’s worth of hard work and dedication. Dressed in the same marvelous costumes and executing the same dazzling performances that scored them so many points in the competition, the paraders exude the same energy in appreciation of the support of their fans that brought them back for this final night.